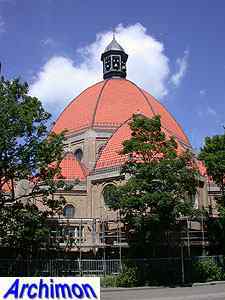 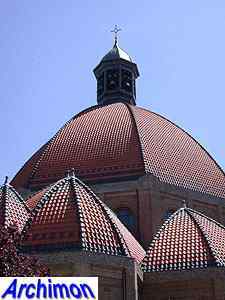 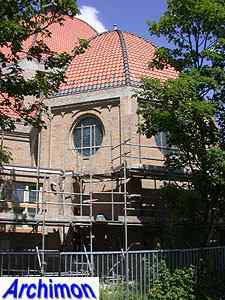 Joseph Cuypers designed his second dome-church together with his son Pierre. 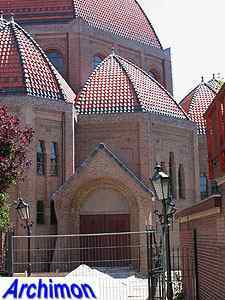 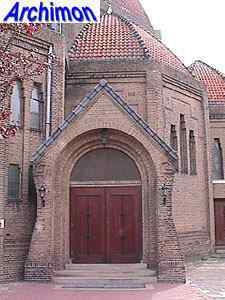 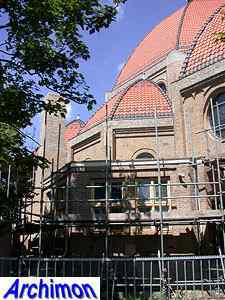 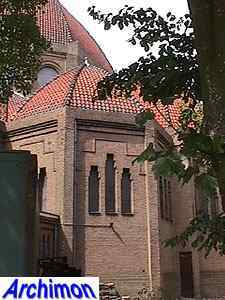 Like its predecessor in Dongen it consists of an octagonal brick central space with a big dome of roofing tiles, on top of which is a small lantern-tower. 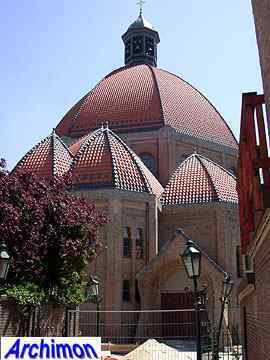 Arranged around the central space are several smaller spaces such as chapels and the choir, all of which are crowned by domes of their own. 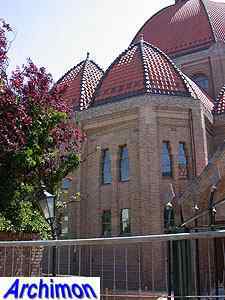 Some details like windows are in an Expressionistic style.